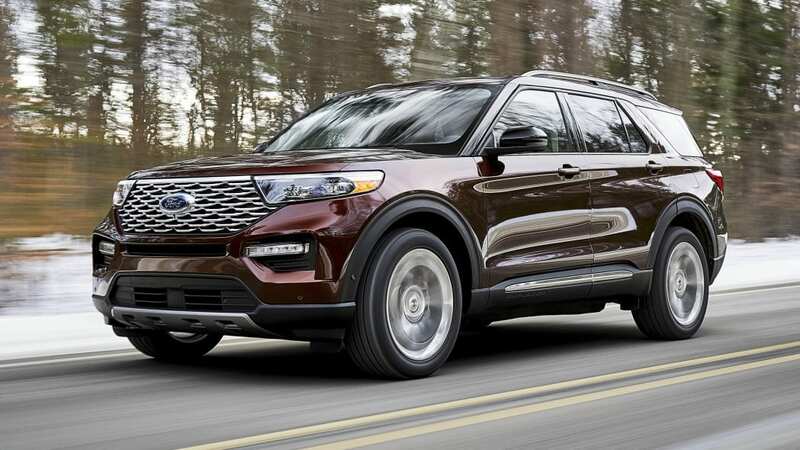 The 2020 Ford Explorer may not look all that different from the vehicle it replaces, but under the skin, this is a revolutionary leap for Ford's massively popular three-row family crossover. 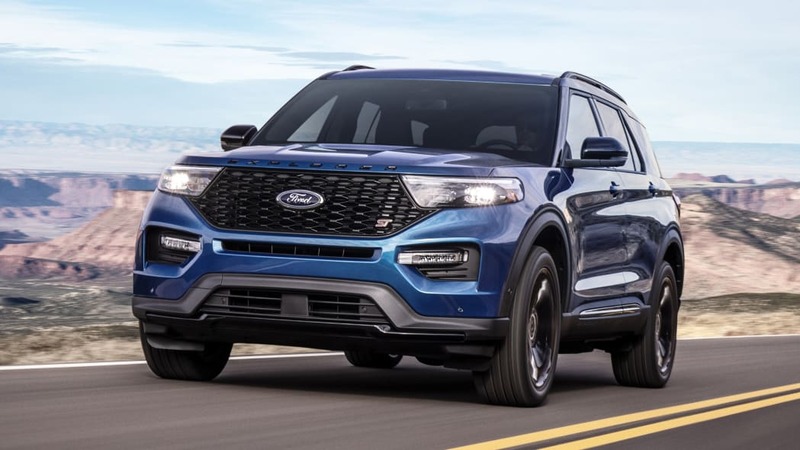 From its new rear-drive platform and powerful engines, to its spacious new cabin and abundant standard safety features, it promises to be one of the most competitive SUVs in its segment. 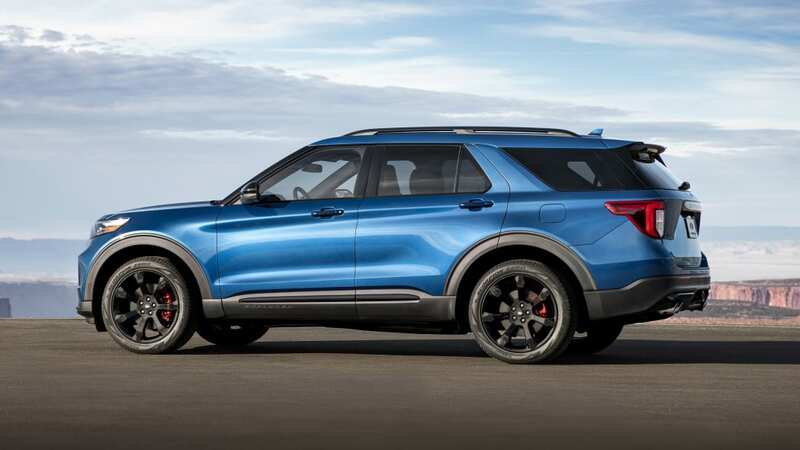 Now, we have yet to test the 2020 Explorer, including the new Explorer ST and plug-in Explorer Hybrid, but will update this page when we do. In the meantime, we've included below everything we know about the new Explorer, which is actually quite a lot. 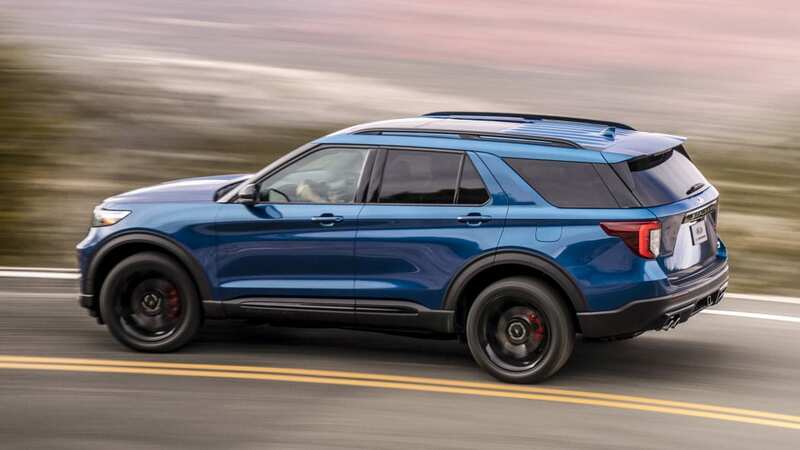 The Explorer is completely redesigned for 2020. 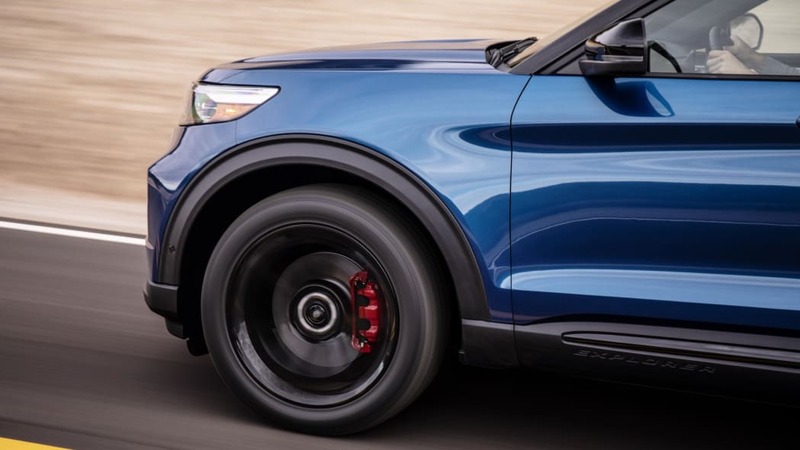 It remains a three-row crossover, but it now shares a rear-wheel-drive platform with the Ford Mustang (versus the front-drive platform of the Ford Taurus and others). 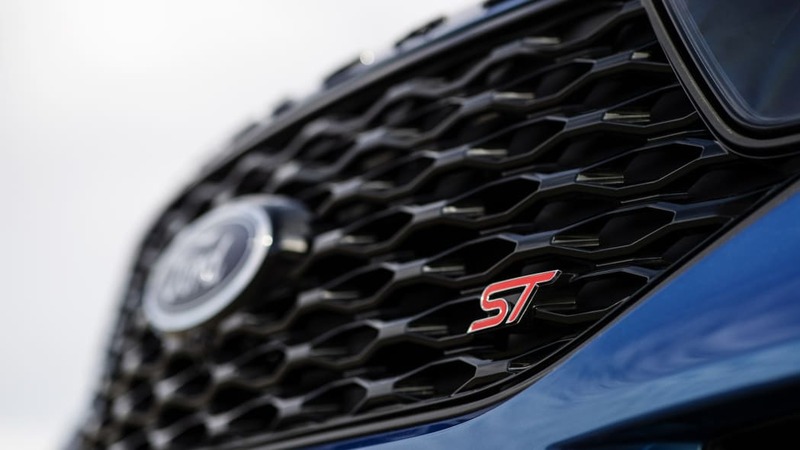 It's also larger and offers a variety of distinctive and powerful engines. 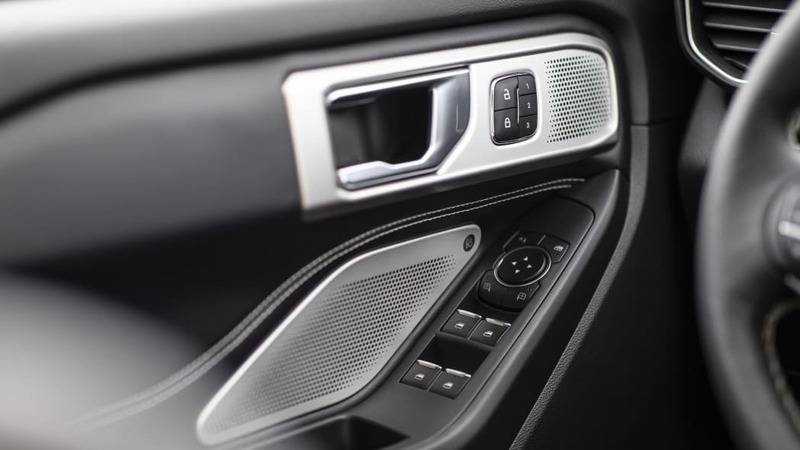 Feature content, most notably safety tech, and the interior in general have been considerably upgraded. 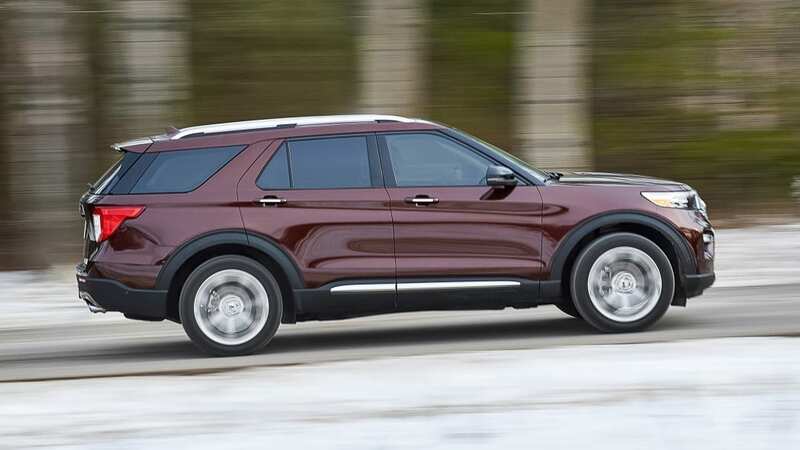 How big is the new Explorer? 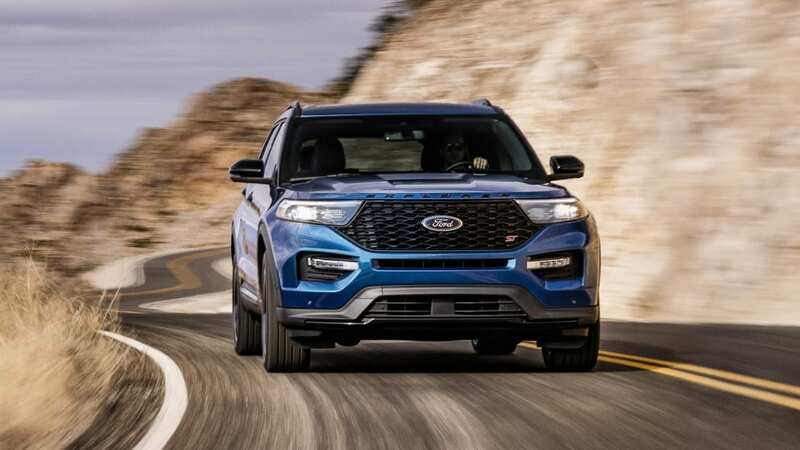 The 2020 Explorer is larger than both its predecessor and most competitors. 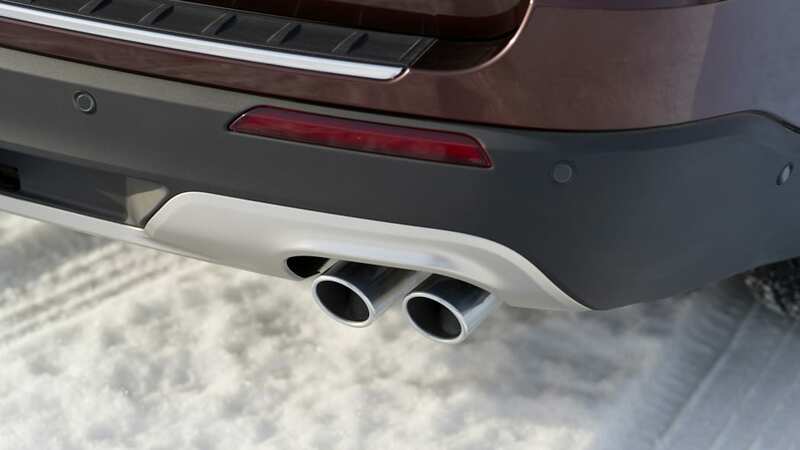 At 198.8 inches long, only the gargantuan Chevy Traverse is larger. 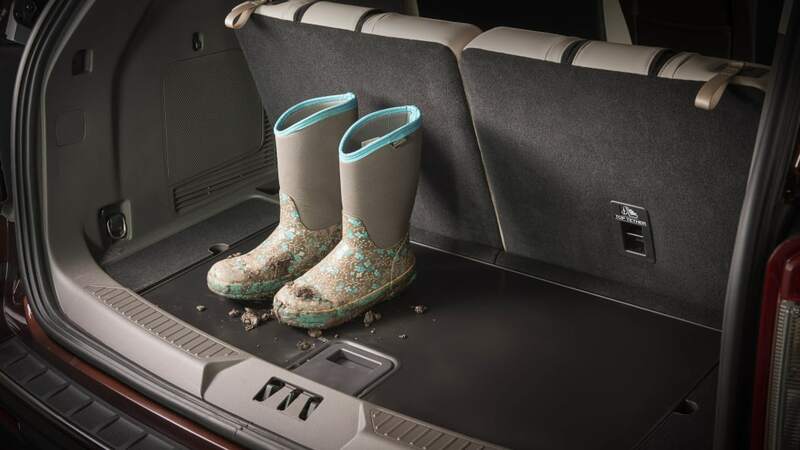 Importantly, however, its wheelbase (119.1 inches) is similarly quite lengthy, which usually pays dividends in terms of interior space and handling. Inside, the new Explorer has more second- and third-row legroom than all of its three-row competitors except the Traverse (this is a common refrain in terms of size). 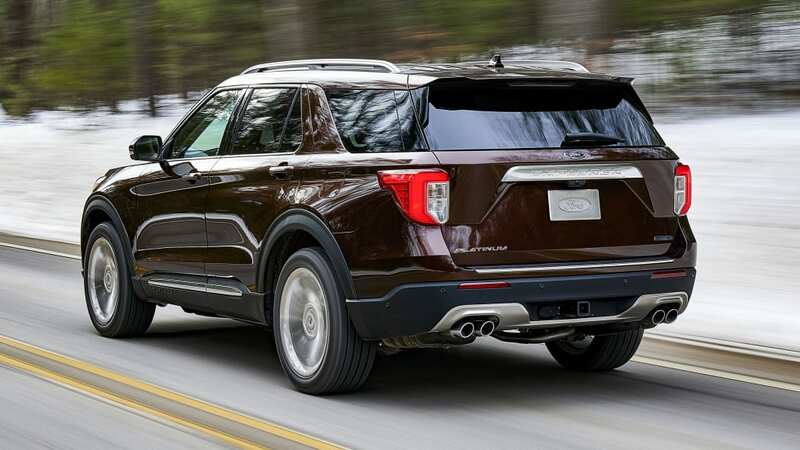 Its third-row headroom is tied with the Honda Pilot for best-in-class as well. Now, what does this mean in terms of actually fitting people aboard? 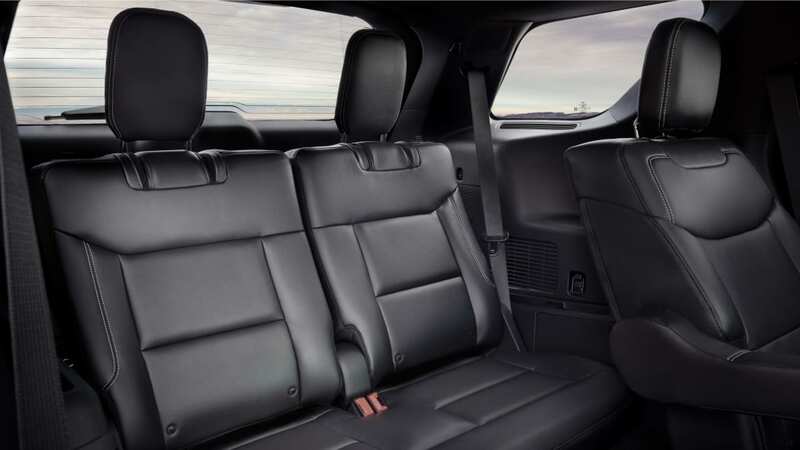 Well, full-sized adults should be able to fit quite comfortably in all three rows, as should growing teens. 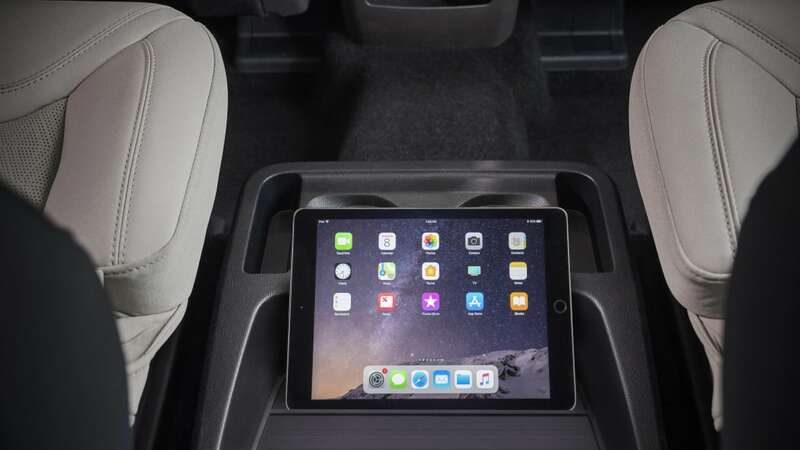 There will also be more space for everyone's stuff, especially behind that third row, where there is a best-in-class 21 cubic feet of cargo space. 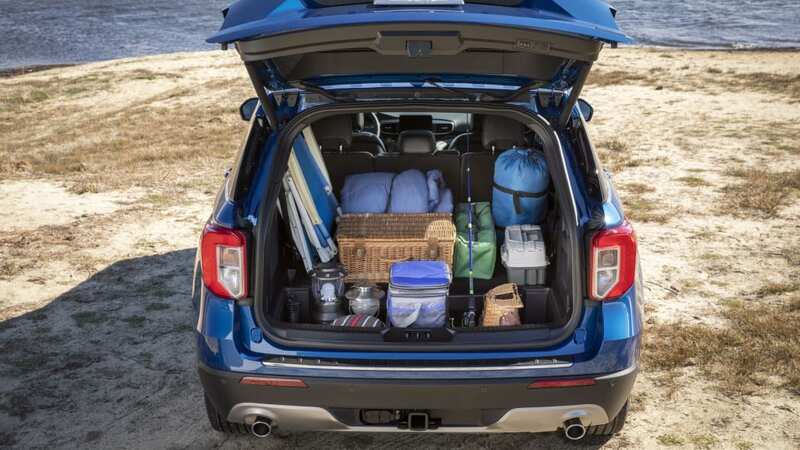 The differences in maximum cargo space (all rows lowered) between competitors would seem to be negligible, but those extra cubes behind the way-back could mean the difference between bringing all your luggage, buying a roof box or making someone sit with a duffle bag on their lap for three hours. 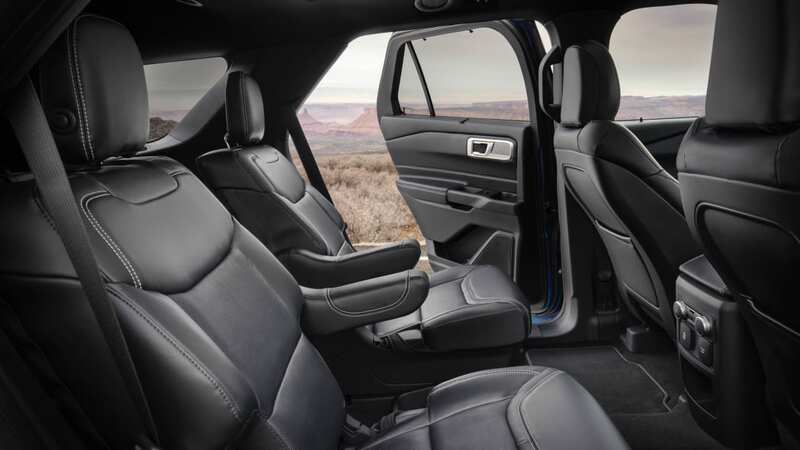 What's the Explorer's interior and in-car technology like? 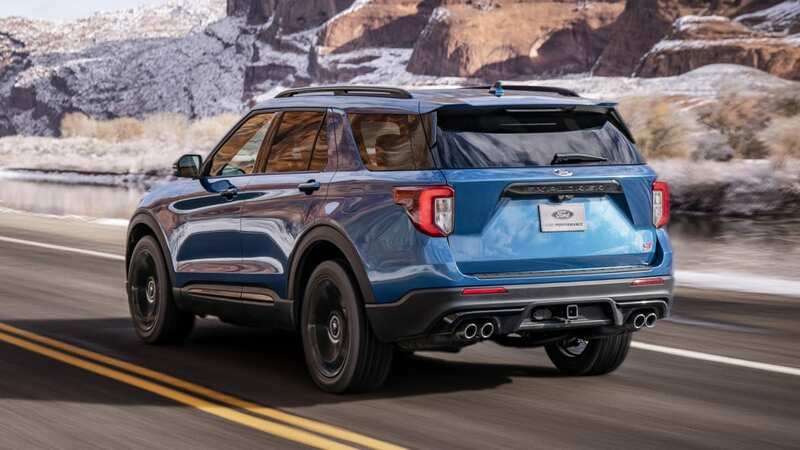 The 2020 Explorer has a more modern, technology-focused cabin than before. 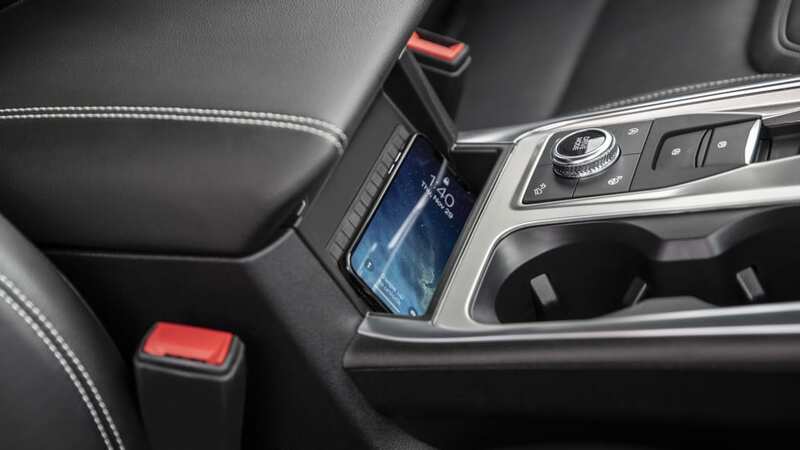 That much is obvious in trim levels available with the new 10.1-inch vertically oriented touchscreen that sprouts overtly out of the dash. 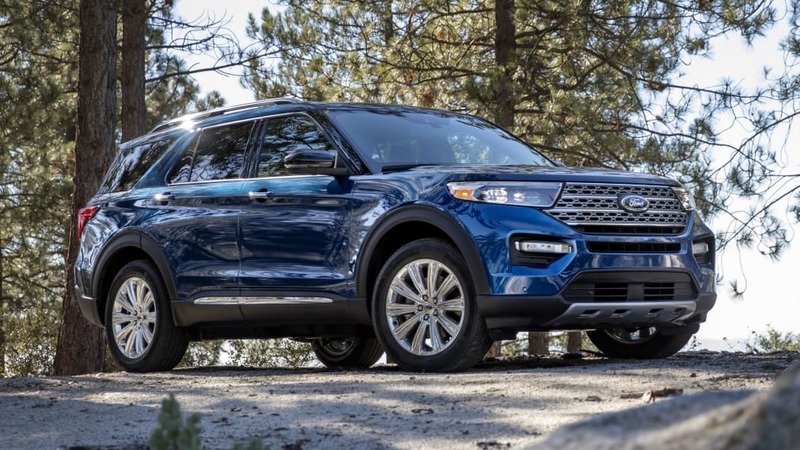 We have yet to test the 2020 Explorer, though, and will update this review once we have further impressions of its new cabin. 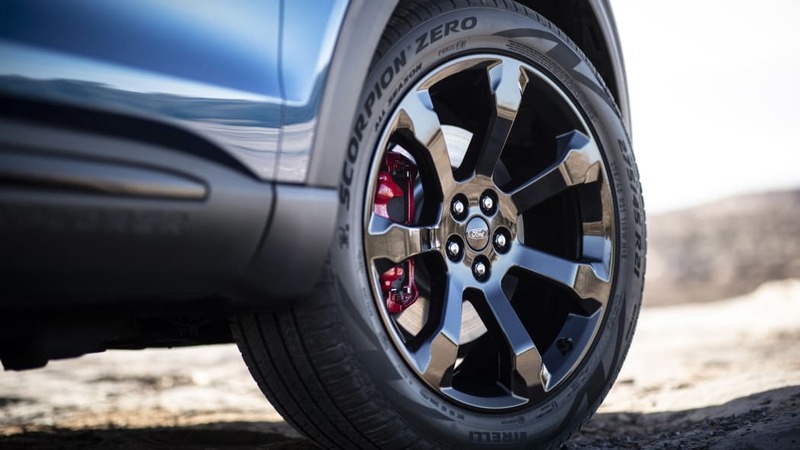 What's the Explorer's performance and fuel economy? 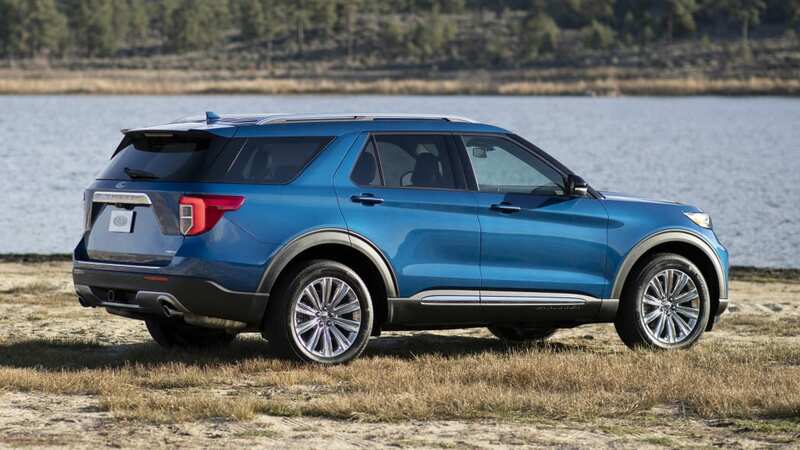 Uniquely for the segment, the 2020 Ford Explorer offers the choices of four powertrains, including those in the performance-oriented Explorer ST and the plug-in Explorer Hybrid. 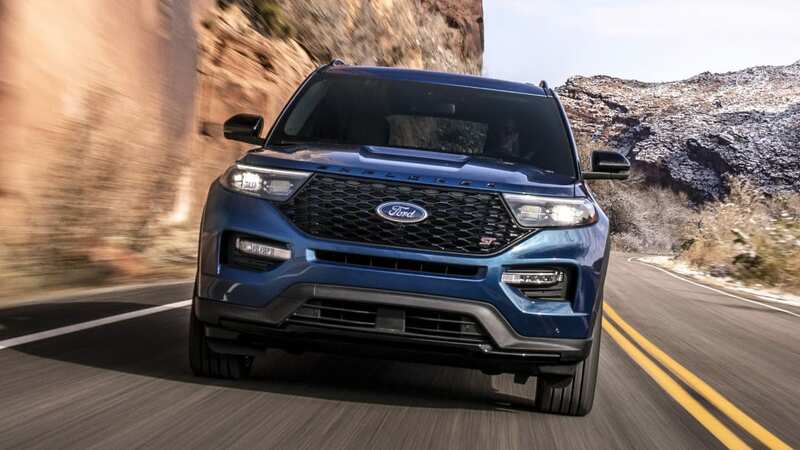 The standard Explorer engine is a turbocharged 2.3-liter four-cylinder that produces 300 horsepower and 310 pound-feet of torque. That's more than every competitor's base (and usually only) engine. 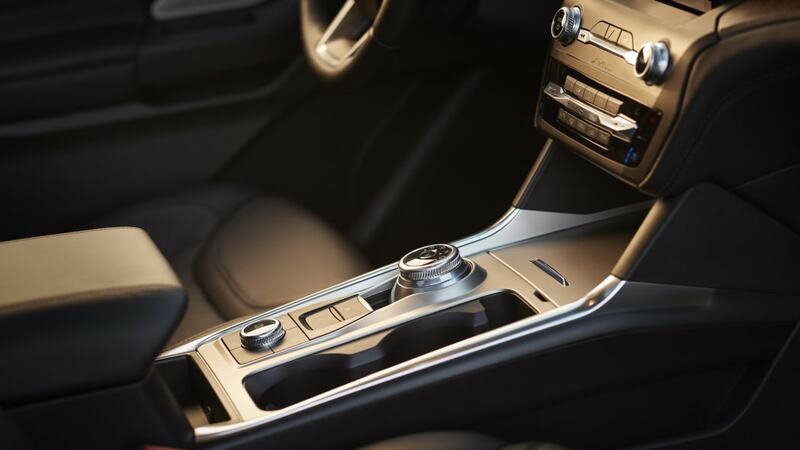 Rear-wheel drive is standard with this engine, but all-wheel drive is an option. 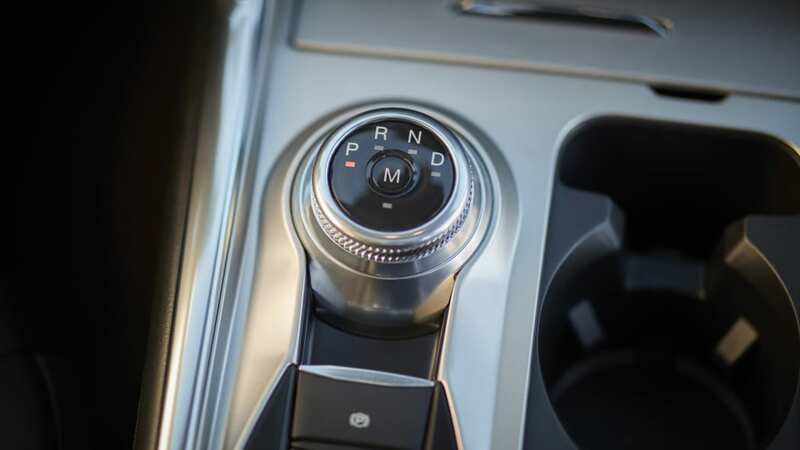 Like every Explorer, a 10-speed automatic transmission is standard. 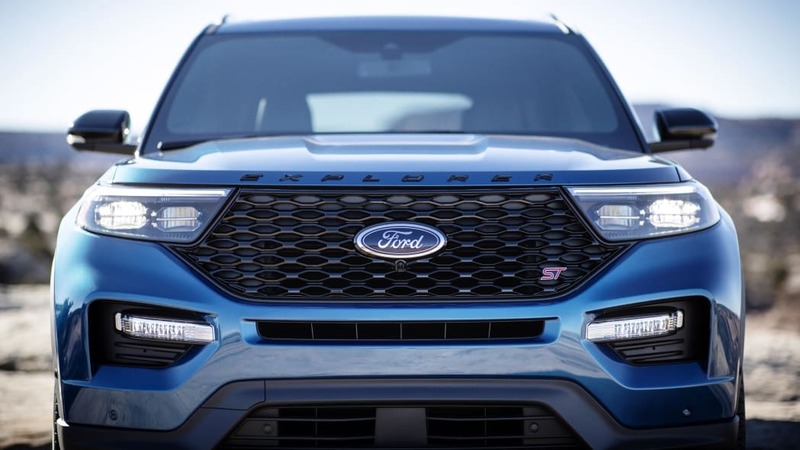 The upgrade engine is a 3.0-liter turbocharged V6 that sends 365 hp and 380 lb-ft of torque to a standard all-wheel drive system. 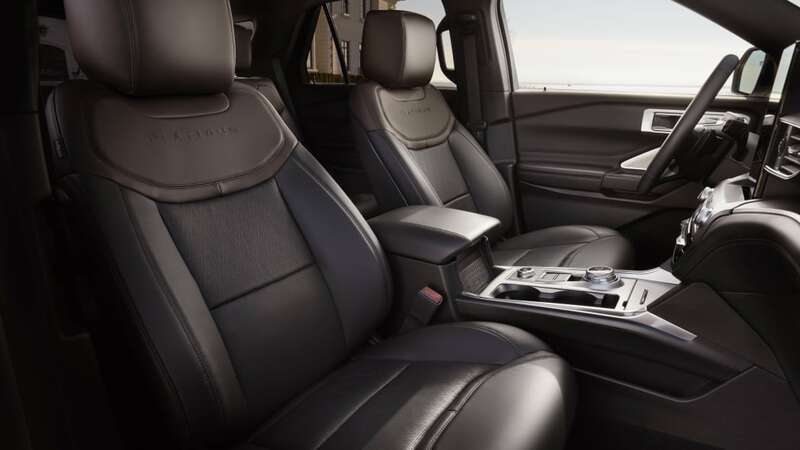 Only the V8-powered Dodge Durango can match this type of firepower. 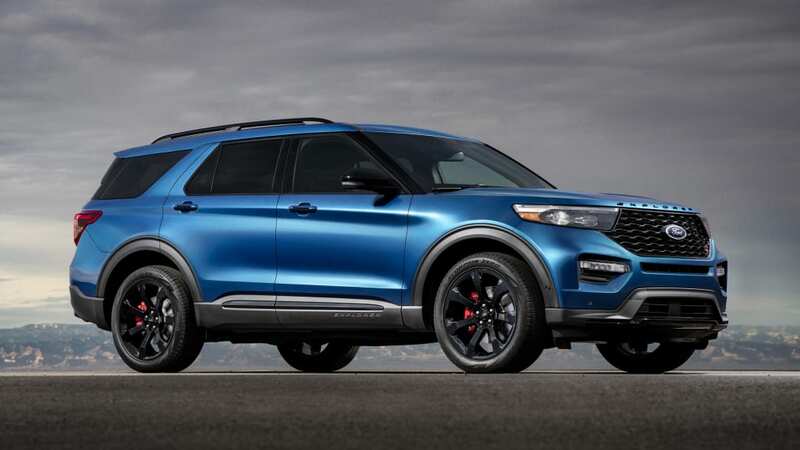 The Explorer ST will step things up even further with an enhanced 3.0-liter turbo V6 good for 400 hp and 415 lb-ft of torque. 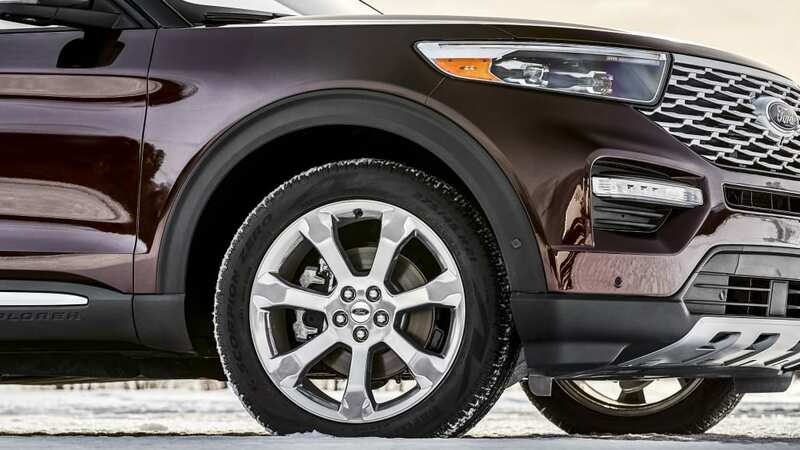 Again, all-wheel drive is standard, but it is rear-biased for improved handling in dry conditions. 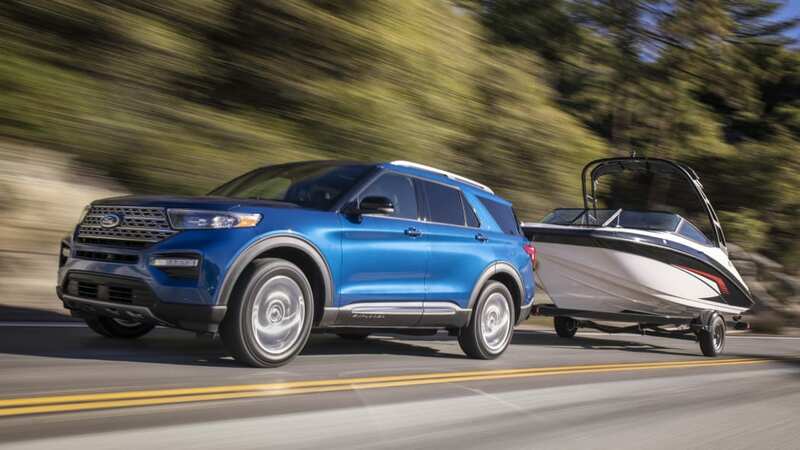 On the other end of the spectrum is the plug-in 2020 Explorer Hybrid that pairs a 3.3-liter naturally aspirated V6 to an electric motor and a lithium-ion battery pack under the passenger-side cabin. 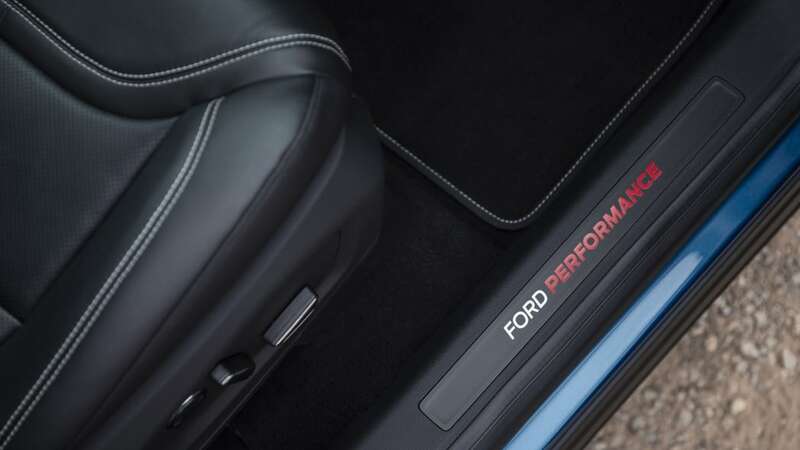 Its total output is 318 hp, and it can tow 5,300 pounds. That's only 300 less than the non-hybrid Explorer's maximum. Fuel economy estimates were not available at the time of this writing. 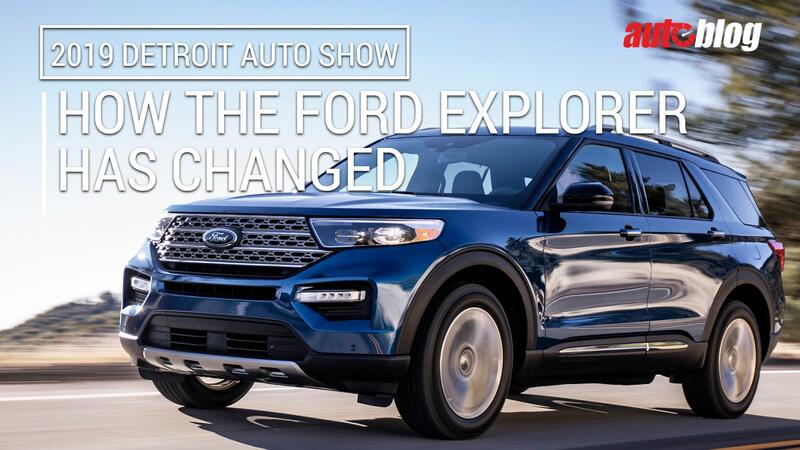 What's the new Explorer like to drive? 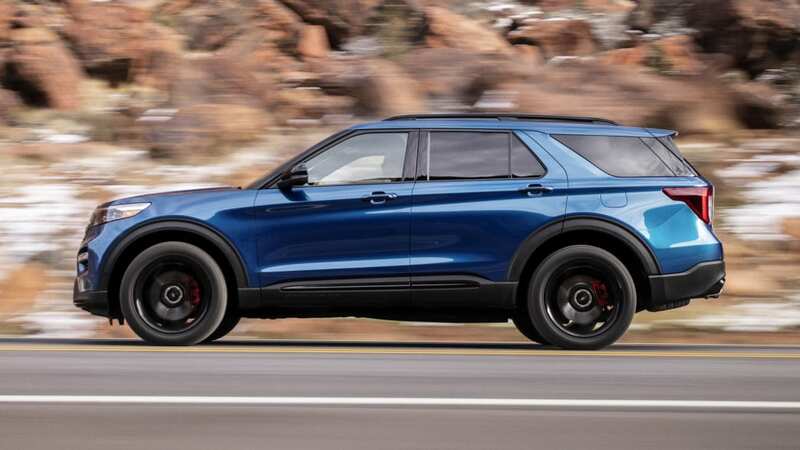 We have yet to test the 2020 Explorer, but will soon. 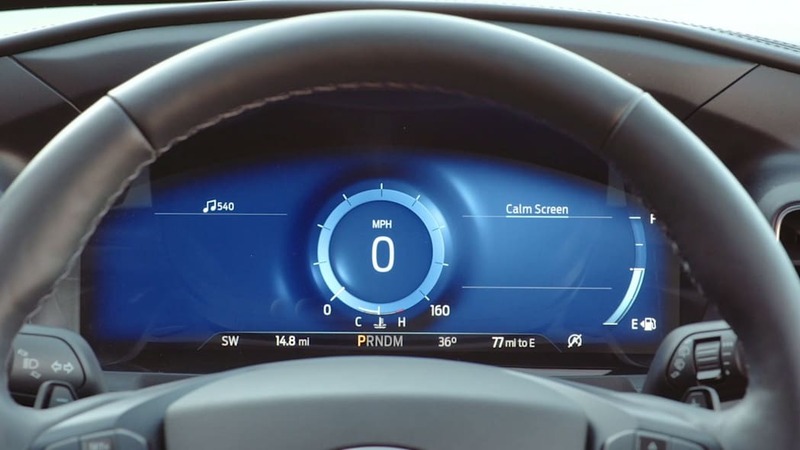 Check back here at Autoblog for our first drive impressions. 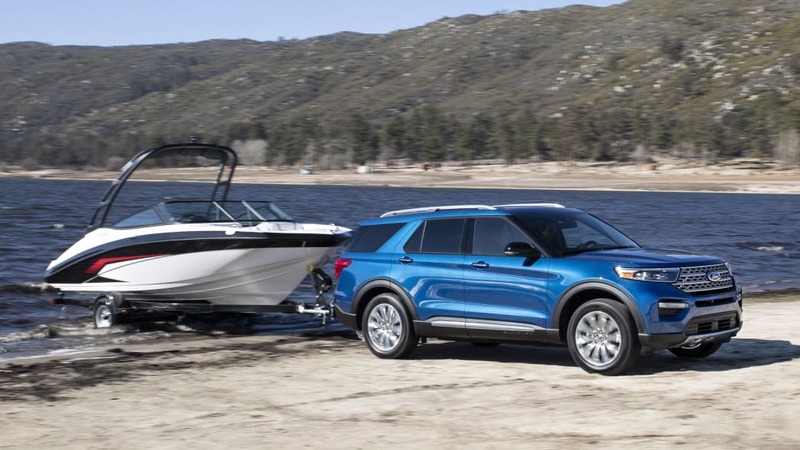 How does Explorer compare to other three-row family crossovers? 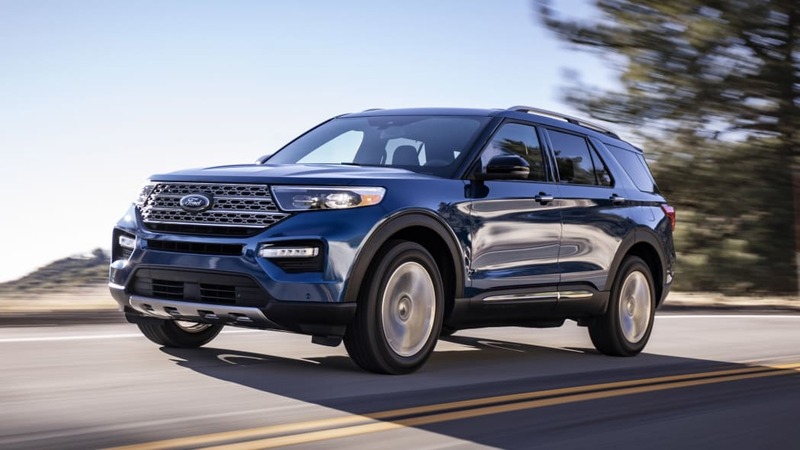 See how the new Explorer compares on paper to the Chevrolet Traverse, Honda Pilot, Hyundai Palisade, Subaru Ascent and Toyota Highlander. 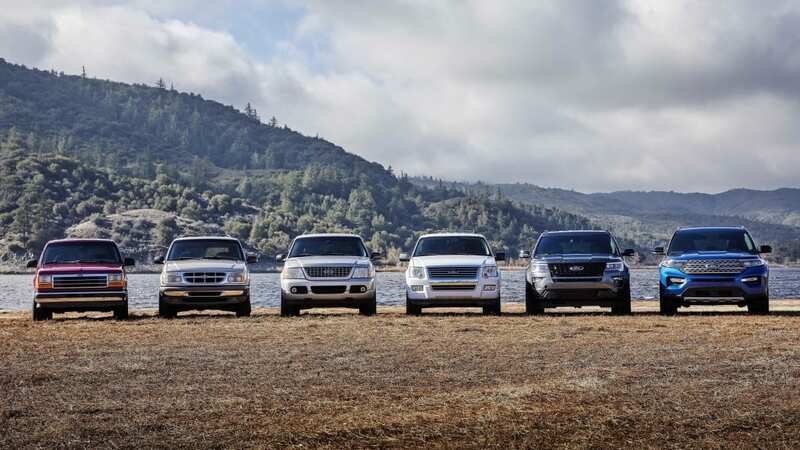 See how the engine specs and dimensions of these two high-powered family haulers compare to each other. 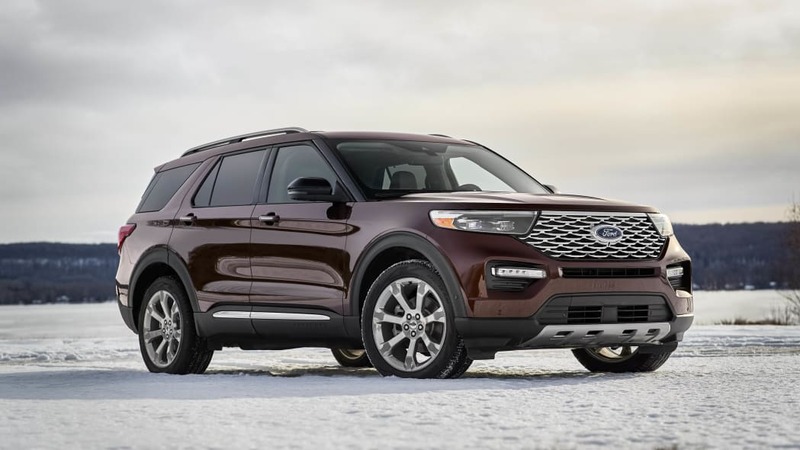 What features are available and what's the Explorer's price? 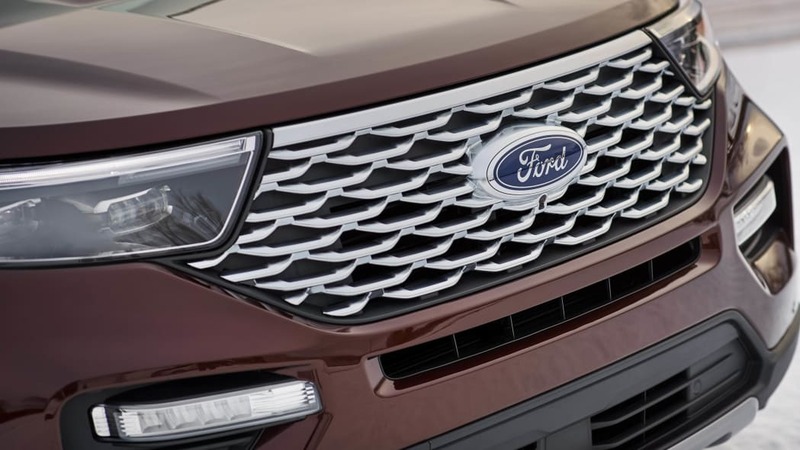 Ford had not released the full equipment list at the time of this writing, but we do have pricing for each Explorer trim level and a good idea about what features will come with each. The starting MSRP is $33,860, including a $1,095 destination charge (all prices below include it). 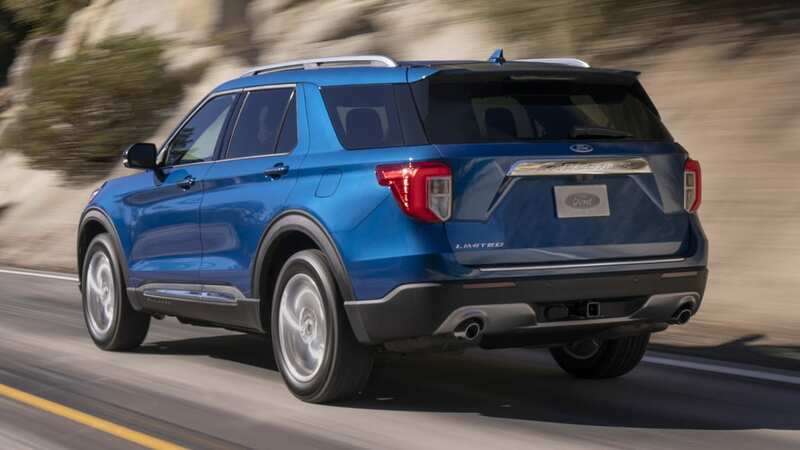 Things start off with the base Explorer ($33,860), which includes 18-inch alloy wheels, the Ford Co-Pilot360 suite of accident avoidance tech (see safety section below), a power liftgate, 40/20/40-split second-row seats (folding and reclining), dual-zone climate control, 4G LTE WiFi, satellite radio, Apple CarPlay, Android Auto and an 8-inch touchscreen (Sync3). 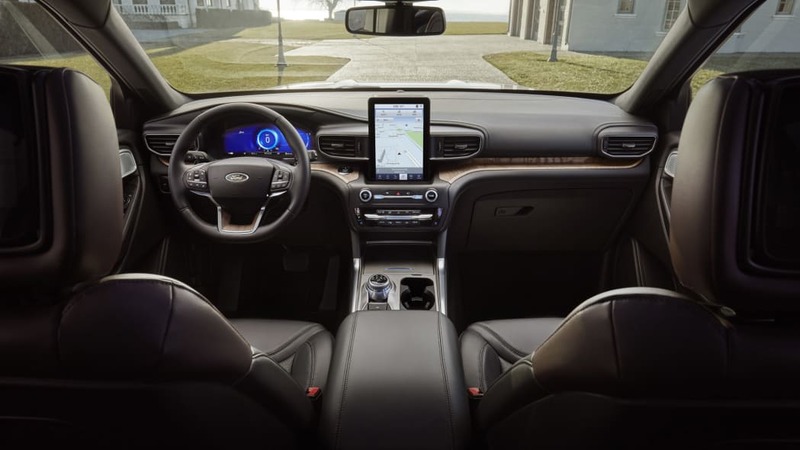 The XLT ($37,700) extras include roof rails, LED accent lighting, proximity entry and push-button start, Ford's old trusty keyless entry pad, power front seats (10-way driver, four-way passenger), a leather-wrapped steering wheel, and second-row USB ports. 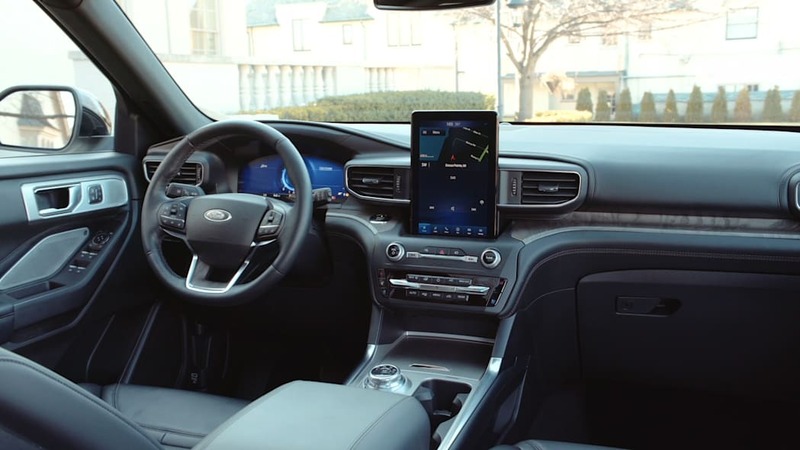 The Limited ($49,225) extras include upgraded brakes, 20-inch wheels, a hands-free power liftgate, Co-Pilot360+ safety upgrades (see below) a 360-degree parking camera system, automatic wipers with de-icer, a 10-way power passenger seat, leather upholstery, heated front- and second-row seats, power-folding third-row seats, second-row sunshades, a heated steering wheel, HD radio, wireless smartphone charging and a 12-speaker B&O sound system. 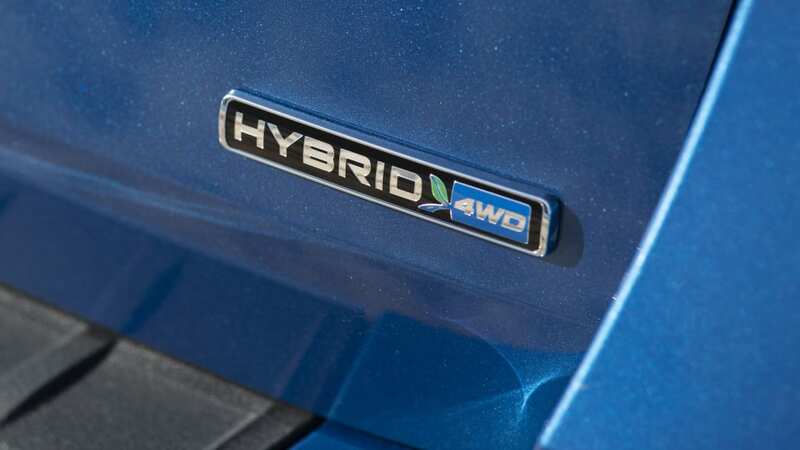 The Hybrid Limited ($52,780) basically adds the hybrid powertrain to the Limited, which is the only trim level available with the hybrid. 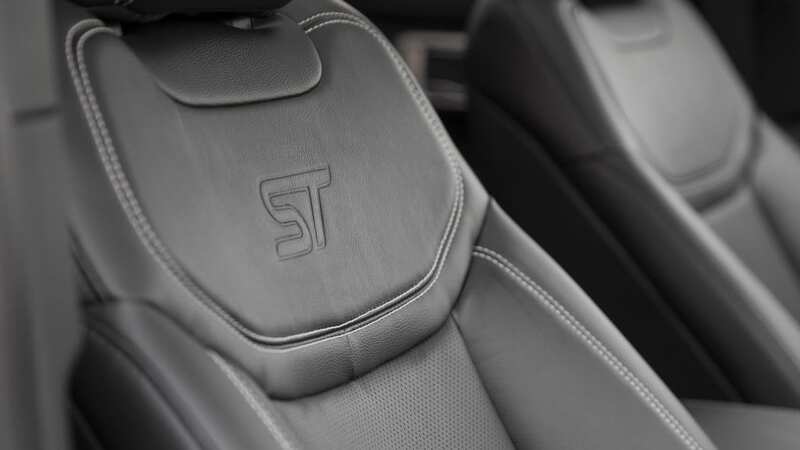 The Explorer ST ($55,835) extras include the more powerful engine, a sport-tuned suspension, a tow package, special styling, special sport seats and steering wheel, reverse automatic emergency braking, an automated parking system, and a 12.3-inch all-digital instrument panel. 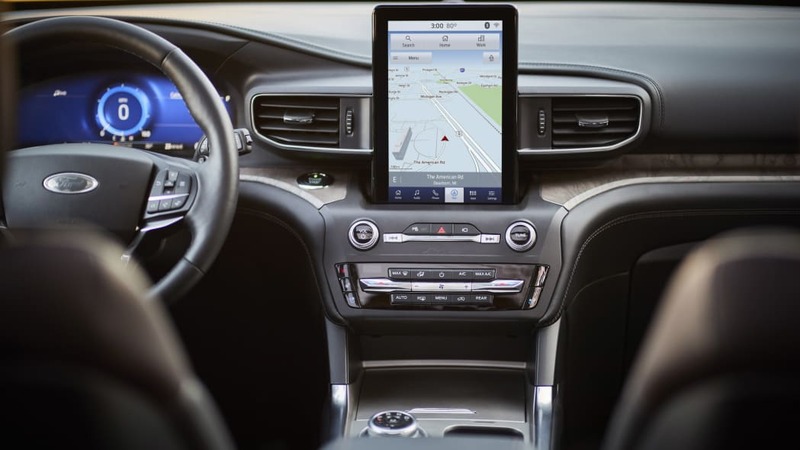 The Platinum ($59,345) reverts to the regular engine lineup, suspension and general styling, but adds a panoramic sunroof, adaptive headlights, power-folding and auto-dimming mirrors, leather-wrapped interior surfaces and upgraded leather seating. 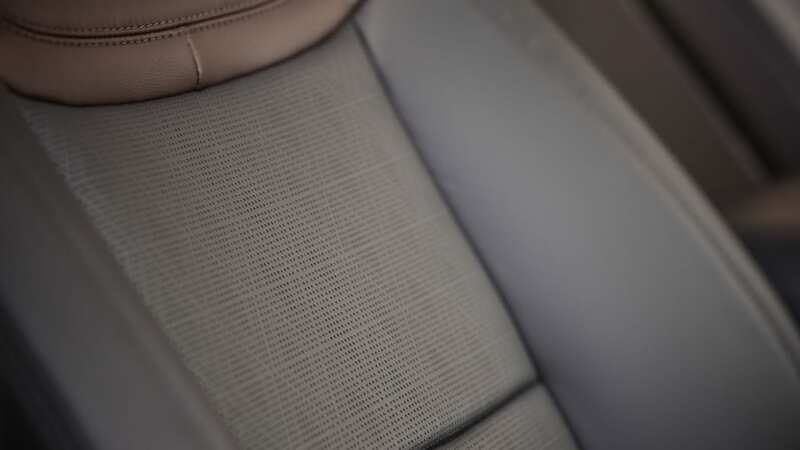 We do not have a full list of options, but would assume that many of the extras found on upper trims would be available on lower ones (especially in regards to the XLT and Limited). What are Explorer's safety equipment and crash ratings? 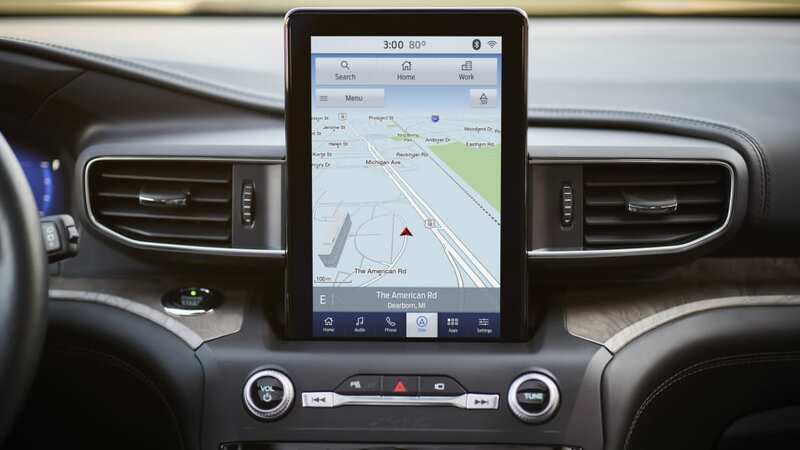 The Explorer's standard Co-Pilot360 suite of safety features includes forward collision warning with pedestrian detection and automatic emergency braking, lane-keeping assist, blind-spot and rear cross-traffic warning, automatic high beams and a rearview camera with a built-in lens washer (if you're in the middle of a cruddy winter, you should appreciate this one). 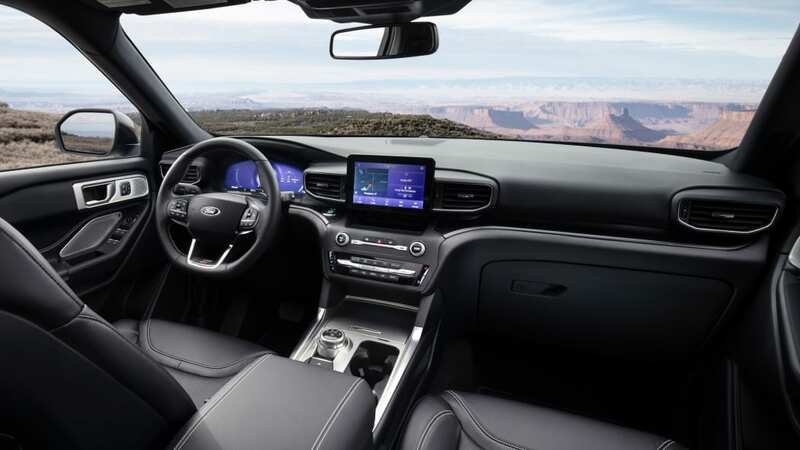 The available Co-Pilot Assist+ package adds adaptive cruise control. 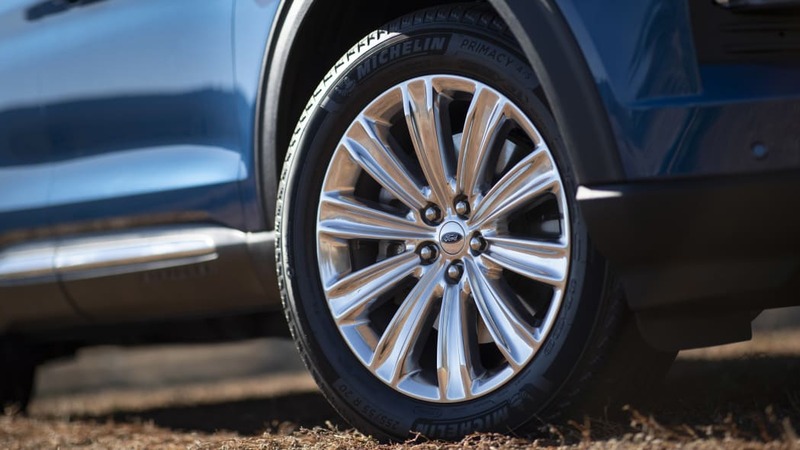 Reverse automatic braking is available on upper trim levels. 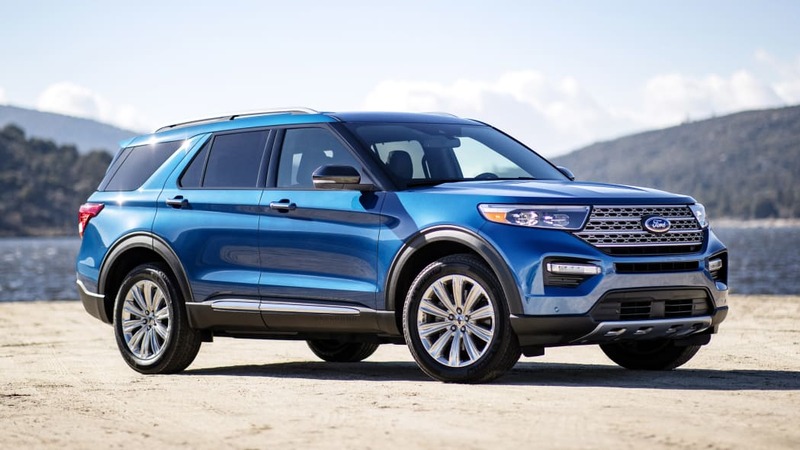 The 2020 Explorer had not been crash tested by a third party at the time of this writing.